Editor's note: We originally wrote in the headline and image that Ron Bass had passed away. We apologize for the error. Don Bass, a veteran who worked regularly from the early 70s until the end of the territorial era, passed away today due to cancer. Details are sketchy but it is being reported that he just learned he had cancer a couple of weeks ago, although he had health issues for years. It is believed he was 69 or 70 years old. Bass formed a tag team with Ronald Bass, as well as Bobby "No Class" Bass, in the Gulf Coast as The Bass Family with Ma Bass as their manager who used a loaded purse to interfere. Bass' greatest success came in the Tennessee and Gulf Coast areas. While he worked mostly as Don Bass, he worked under a ton of different guises under masks there as well as part of new version of The Assassins tag team, The A-Team, Fire & Flame and an incarnation of The Interns, not the same team that was huge in Tennessee years earlier. 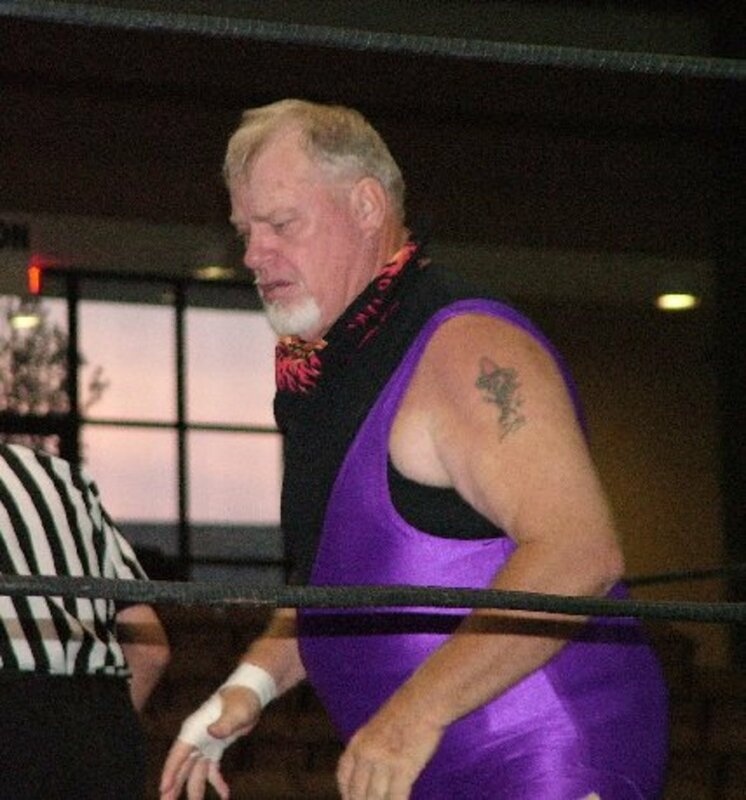 During that era he regularly teamed with Roger Smith, who had teamed with Jody Hamilton in Georgia as The Assassins after the retirement of Tom Renesto. Under various names, the Bass & Smith combination won the Southern tag team championship four times in the Tennessee circuit. Before teaming with Smith, his combination with Ron Bass held tag team titles in the Gulf Coast and Tennessee.